Dr. Pappas graduated from Marianopolis College in 1984 with a DEC in Health Sciences. She then went on to McGill University where she completed one year of a Bachelor of Science degree in Microbiology & Immunology. 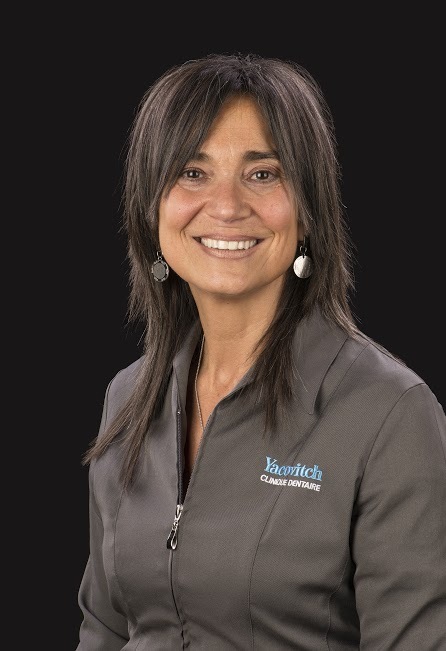 She was accepted into the Faculty of Dentistry in 1985 and, after graduating in 1989, Dr. Pappas completed her General Practice residency at the Montreal Children’s Hospital in 1990. She has been a clinical instructor in Restorative Dentistry at both John Abbott College and McGill University. Dr. Pappas has been in private practice for twenty two years and has accumulated hundreds of hours of continuing education. Dr. Pappas has a high energy approach to dentistry. Patients love her positive attitude and willingness to help patients achieve optimum dental health.